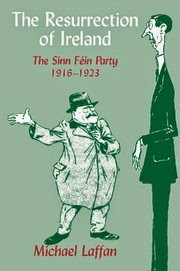 This book traces the history of the Sinn Fein party from its origin in 1902 to the present day, not from 1916-1922. There is still an extraordinary interest in the Irish revolution if one is to judge by the continued proliferation of its literature, but many people have a skewed knowledge of its history, thanks to the unbalanced contemporary emphasis on certain aspects and personalities. This book provides important and comprehensive insights into the political background of the times. I found it informative and eminently readable. It provides an extensive bibliography, is based on considerable research using both primary and secondary sources, and, while Sinn Fein remains the principal theme, the author does not neglect the relationship between the political movement, the military and other aspects of the times. 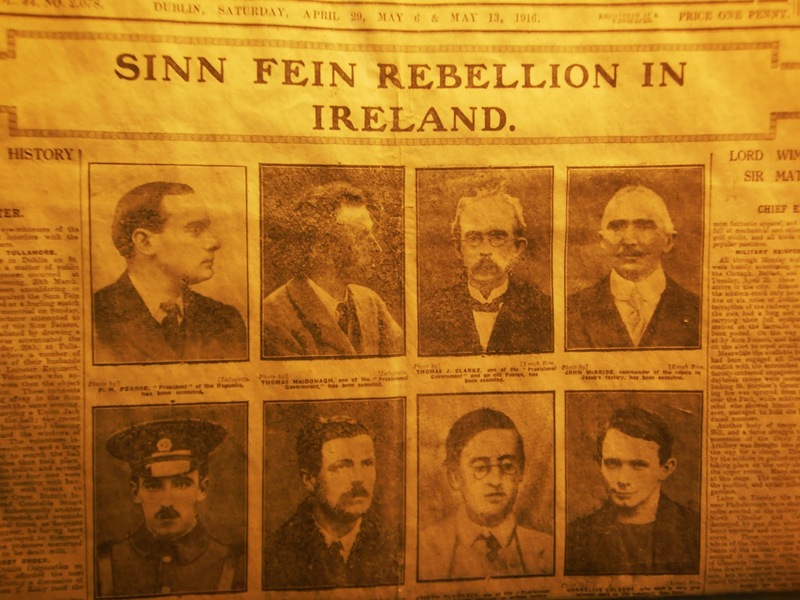 Newspaper article after the 1916 rising. The author is particularly concerned with the movement’s early phase from 1902 to 1917 and with its dominant role in the political evolution of Irish freedom from 1917 to 1922. His accounts of post-Treaty Sinn Fein are informative and are not without interest and relevance in relation to recent developments in the North. This period is dealt with more briefly but will no doubt receive more attention from future historians. The story of Sinn Fein is complex. It meant different things to different people and at different times. Although established in 1902 by and closely associated with Arthur Griffith and his few supporters, the Sinn Fein movement soon became an amalgam of individuals, parties and splinter groups representing all shades of nationalist opinion from the moderate devolutionist to the most extreme separatist. To some it was simply a symbol of the nationalist movement. To its opponents the title had a pejorative connotation. 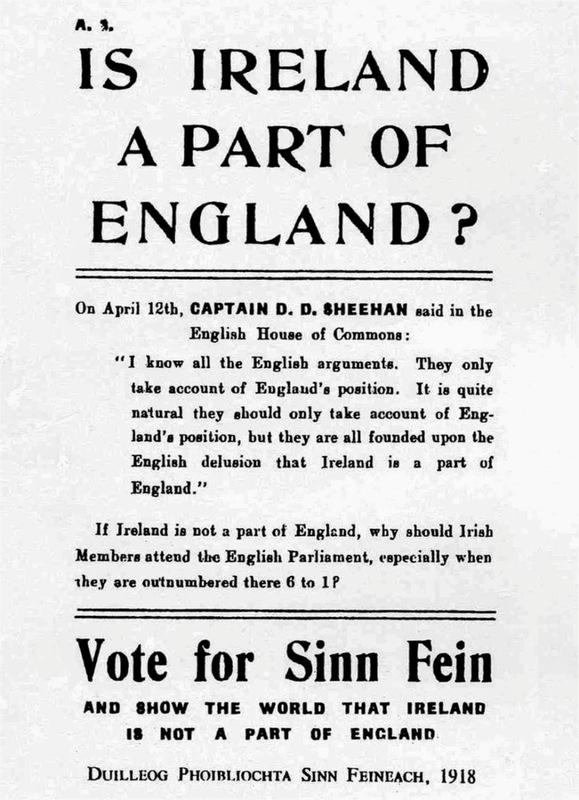 In the spring of 1917 various groups combined to form a single nationalist party, a decision confirmed in October 1917 by the appointment of the Sinn Fein executive, with Eamon de Valera as its president. From then to 1919, Sinn Fein prospered and played the dominant role in furthering the cause of separatism by its sweeping successes in the 1918 general election. 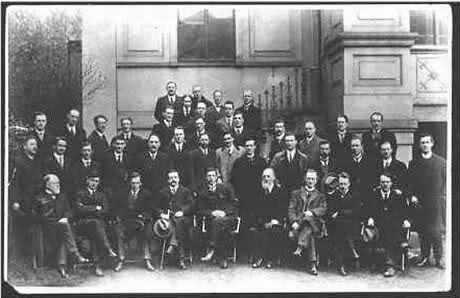 After the setting up of the first Dail and its cabinet, its influence began to wane and its importance was further diminished by the military when the War of Independence commenced at the end of 1919. The author refers to the disdain the soldiers had for politicians as the military profile was enhanced among separatists during the War of Independence and as the members of Sinn Fein receded into the background and often into prison. De Valera’s absence in America from April 1918 to Christmas 1919, with his remote involvement in the political ambience of the time and his reluctance to share his views with others diminished the influence of the politicians. While a certain conflict was perceived to exist between the military and the politicians, in fact many of the military leaders were also members of the Dail and of the cabinet, and any significant conflict was illusory, at least until the Treaty was ratified. The adoption of proportional representation in the second and subsequent Dail elections, replacing the straight non-transferable system of the first Dail, revealed the more realistic and less sweeping support for Sinn Fein among the electorate than was initially apparent. The members of the first and second Dala were largely chosen because of their prominence in Sinn Fein and the army. By passing the Treaty by a narrow majority, they did not reflect the views of the electorate, the great majority of whom were in favour of the Treaty’s acceptance. Some excellent contemporary cartoons are included nor is humour neglected when we read the quotes of some of the more passionate patriots who appeared to confound matters of divinity with those of politics. This is the first standard work on Sinn Fein. It is essential reading for those who wish to understand the genesis of the freedom which Ireland achieved early in this century.